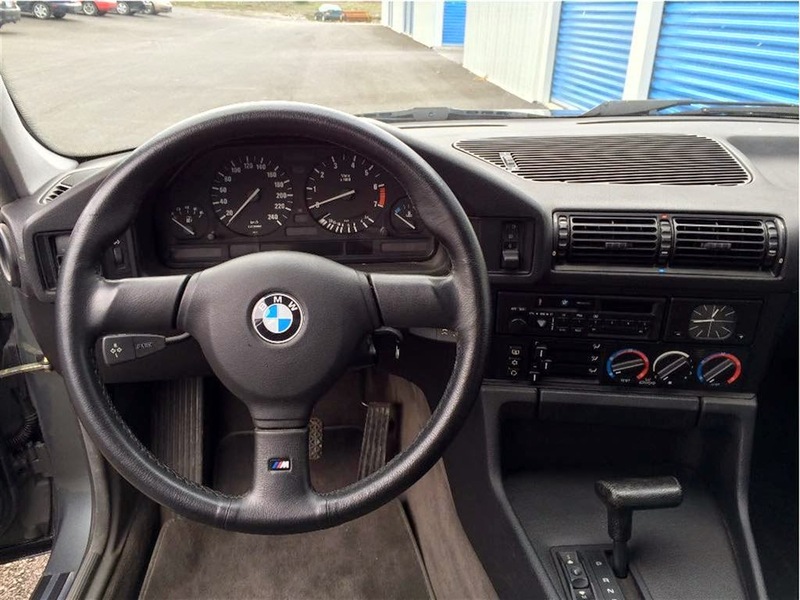 This next car comes as a tip from J Jefferson who writes: $7K US for a BMW with 25k miles (40,000 km) seems cheap, but who know what gremlins could be lurking in any car this old. Funny little mast on the right front bumper too… does it come from an embassy fleet? This is near Canada’s capital, home to all sorts of foreign nationals, so a plausible theory. Nothing prosaic on the site to help figure out why this beast has only been driven 1,000 miles per year. If it weren’t an automatic, this would already be in my driveway…. ( that’s what we all say, isn’t it). 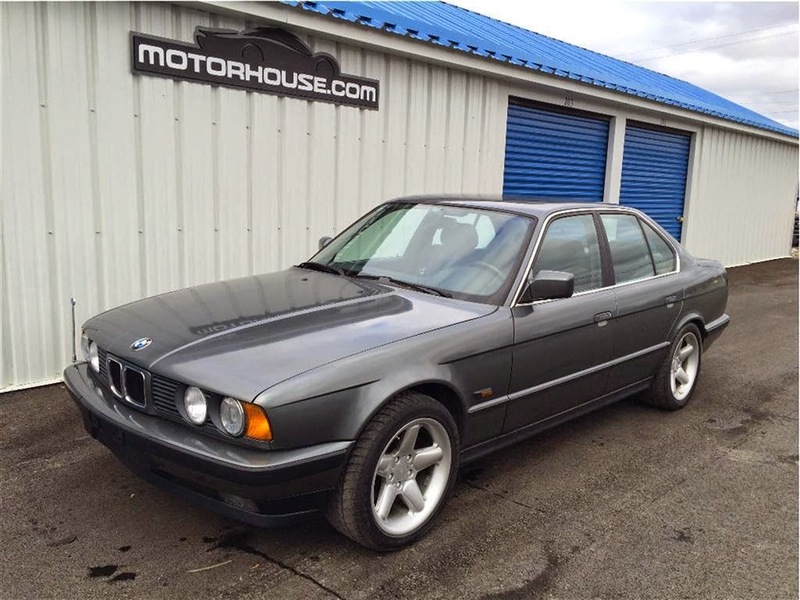 Find this 1989 BMW 525i Auto offered for $8,988 CAD ($7,200 USD) on motorhouse.ca, located in Ontario, Canada. The BMW E34 5-series was a large luxury family car from BMW, available as a sedan or wagon (estate) from 1987 through 1996. 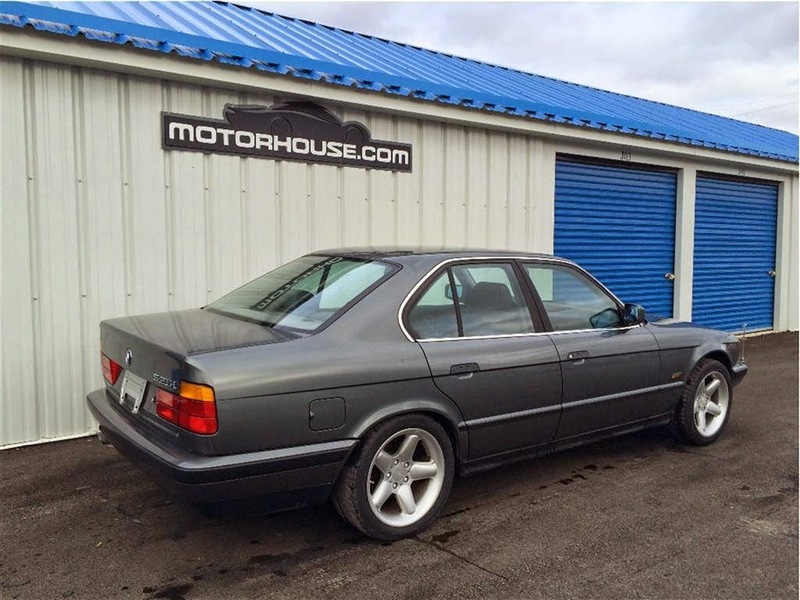 This particular example has a ridiculously low 25k miles on the odometer, which turns into 1,000 miles per year -- if you are in the market for a low spec e34, this is about as nice as they get. The 525i is powered by the M50B25, the same inline 6 that powers the E36 325i, and puts out 189 horsepower at the flywheel. These engines are very smooth and pull hard, feeling more powerful than the on-paper specs would suggest, although it would be better with the 5-speed. The cloth interior is unusual (most I've seen are leather), but doesn't look bad and won't show cracks/creases like leather. Interesting find, J Jefferson! Still, it wouldn't be in my driveway. Well, isn't this interesting. Would you believe that I live less than 20 km from this dealer, and I have never heard of them? I think I will have to go have a look at this car, just to say that I made a real-world connection via DT. Tomorrow is a Statutory Holiday up here, but they may be open Monday. I think it is OK that it is an automatic. In fact, I have come to prefer automatics over manual. Maybe I am going through a stage. I know what you are thinking. "That stage is called being old, and it ends when they shovel dirt in your face". Still, it is a lot of car for the money. The wheels are really nice, too. About the funny little mast thing on the bumper: if you look at it closely you can see that it is topped with a BMW roundrel. Still don't know what it could be. It is a diplomatic flag bearer. The real units are stupid expensive. It could indicate the low mileage is from some diplomatic mission being too embarrassed to drive such a small unpretentious automobile around Ottawa. So it takes an automatic 525 26 years to go 25 thousand miles? I didn't know they were that slow. 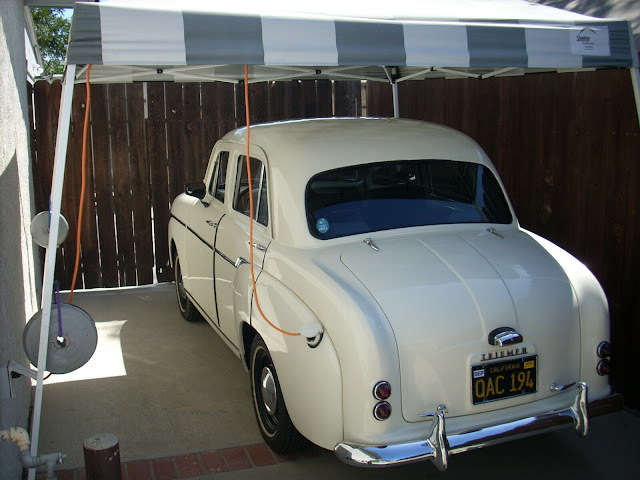 The mast is used to help the Japanese drivers drive while on the wrong (for Japan) side of the car. This car is undoubtedly an import to Canada from Japan - that would explain the low mileage as well. Was never impressed with the slushbox small sixes, but if it were a wagon my loins would be aching over the prospect of an LS3 swap. I warned you. You didn't listen. Now you're sorry. Stick that in your roundel and smoke it.